Audio Visual AVInstallation, HD Projection, High Def Installations, TV Displays,Conference room,Technical Video Inc. Albany, NYPlus, Audio Visual equipment rentals, av equipment installations, live event production, live web streaming, sound systems, projection screens: Contact TVI:518-867-3020 | Technical Video, Inc. 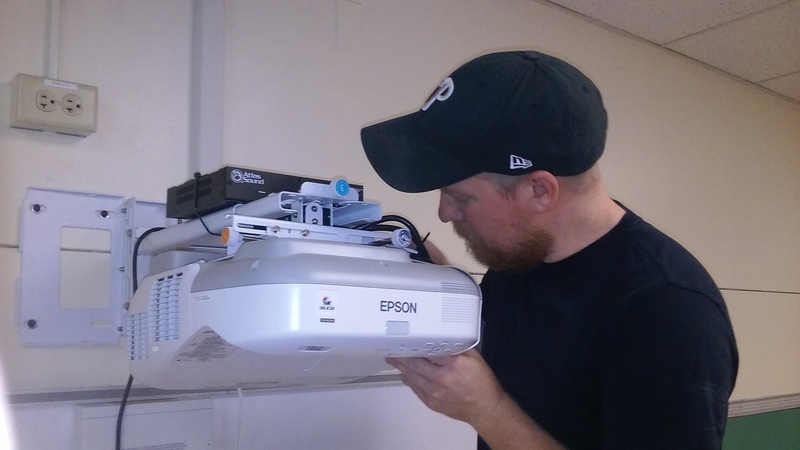 This summer Technical Video Inc. tackles it’s most ambitious equipment installation to date! 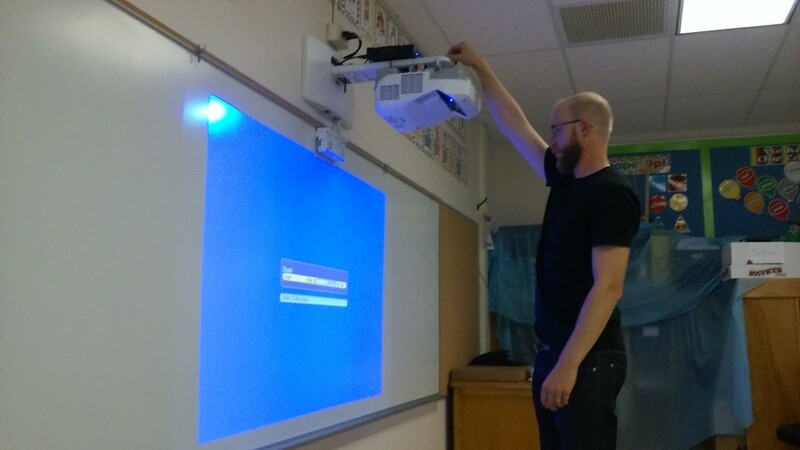 TVI technicians are hard at work installing the latest in high-tech audio-visual equipment at Jefferson Elementary in Rotterdam. This is Phase One of a massive installation that will span 3 schools and 70 rooms! in the Schalmont Central School District. 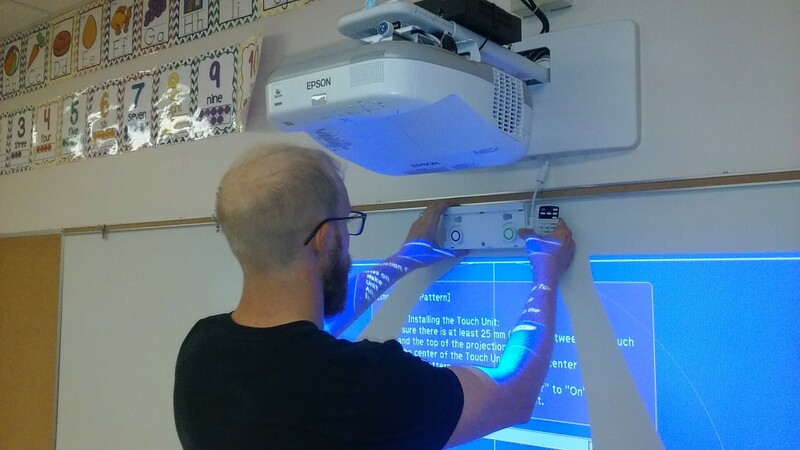 Each room will be upgraded with an Epson Brightlink 595Wi Interactive Projector, the world’s first 3LCD, touch-enabled interactive projector. Plus each room will have state-of-the-art audio installed, featuring Altas Amplifiers and Ceiling speakers. 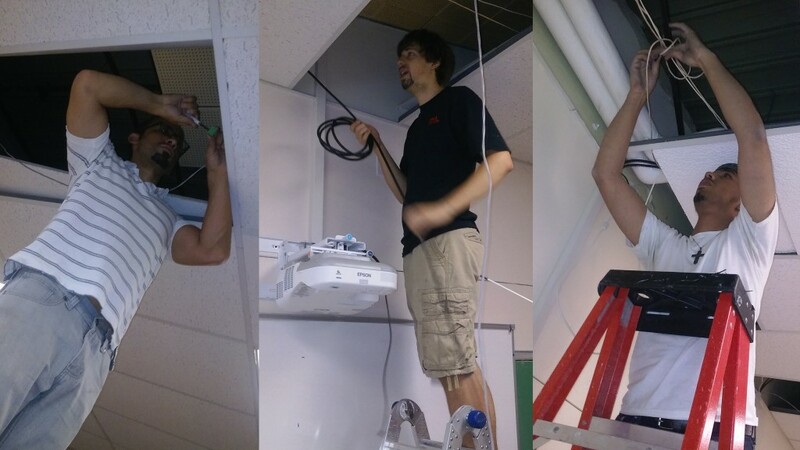 The project is to be completed in time for the new school season, so stay tuned for updates on our teams’ progress throughout the summer!